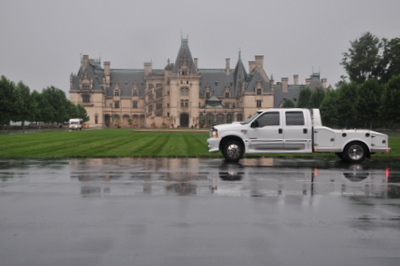 Here's a shot of the "Beast" (our RV Hauler) in front of the Biltmore Estate, Asheville, NC. It just happened to rain the day we were there, which meant "no tourists" in our shot. . .isn't that great?